Climb Kilimanjaro on Machame Route is a 6 days of trekking Mount Kilimanjaro, the Africa's highest peak 5895m of which trekkers ascend through Machame route and descend through Mweka route using tents camping accommodation as there are no wood huts for accommodation in this route, instead, camping grounds and toilets are available, with wonderful scenery and fine weather does not cause tiresome to climbers. 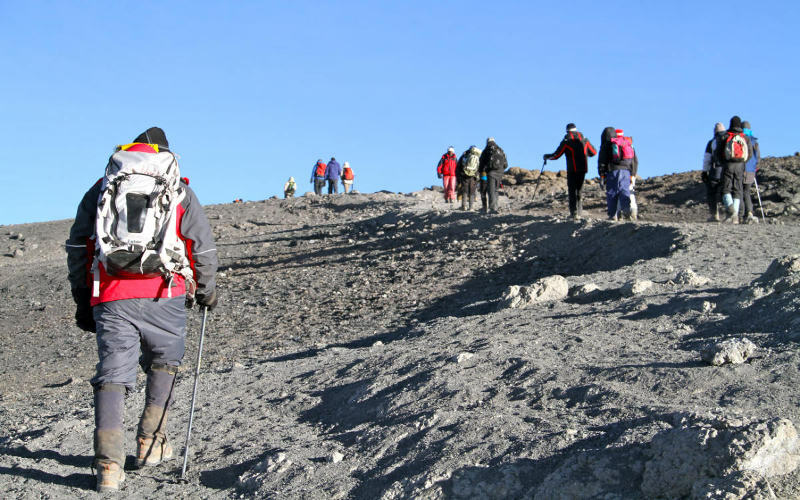 Although Machame route is a bit challenging, but at the end of your climb, you will recognize that you have refreshed both mind, heart and the spirit. Physically you will experience quick recovering. After breakfast, final descent to Mweka gate, thereafter say Goodbye to your Guide/ Porters and connect a private transfer to Arusha.